As we head to the start of BCMFest 2019, a little note about its climactic event on Saturday night: Brian O’Donovan, host of WGBH-FM’s “A Celtic Sojourn” and organizer of many Boston-area Celtic music events throughout the years, will be joining us as emcee for the BCMFest Nightcap, the finale concert taking place in The Sinclair at 7:30 p.m. with performances by Liz Carroll, Kevin Henderson & Neil Pearlman, Katie McNally & Yann Falquet, and Boys on the Hilltop. Brian O’Donovan, explaining it all, at BCMFest 2010. Brian’s played this role numerous times over the years at BCMFest, and if you’ve seen/heard him before, you know he’s very, very good at it. He doesn’t just announce the name of the next act and shuffle off stage — he gives you the background, the what and how, in concise, incisive fashion; and he’ll engage performers in conversation, helping the audience to get better acquainted with them, and their music. Brian can make you feel like, instead of sitting in a theater, you’re relaxing in his parlor in the midst of a grand hooley (if you don’t know exactly what that word means, he’ll be happy to tell you). Last year, we tried a new thing for BCMFest — the Festival Club. And it worked so well we’re bringing the Club back again for 2019. Think of the Festival Club as “BCMFest After Hours,” with performances at Club Passim from 10 p.m. until midnight. It’s an opportunity for BCMFest acts to try some new and different things, maybe team up for a song or a set of tunes — just go with the moment, y’know? (L-R) Nic Gareiss, Conor Hearn, Laura Cortese, Val Thompson and Jenna Moynihan teamed up for some late-night fun at Festival Club during last year’s BCMFest. Festival Club is also the least expensive ticket for BCMFest: $10, $5 for Passim members — or a $5 add-on if you come to the First Round and Roots & Branches concerts Thursday and Friday, or the Boston Urban Ceilidh on Friday. You can get a nice little taste of the festival on a budget. Definitely a lot of possibilities there. So, have that extra cup of coffee and stay up for Festival Club. You never know what might happen. Liz Carroll. Do we need to say anything more? Liz is one of the iconic figures of Irish traditional music, and Irish-American music, of the past few decades. She’s an accomplished fiddler of power and precision whose concert appearances and new recordings are always met with anticipation, and a past recipient of the National Endowment for the Arts National Heritage Fellowship Award. Liz has performed and collaborated with many fine musicians, notably guitarist John Doyle, with whom she released a pair of albums (one of which, “Double Play,” was nominated for a Grammy), and is a member of The String Sisters, an all-star ensemble — Mairéad Ní Mahonaigh, Annbjørg Lien, Liz Knowles, Catriona MacDonald and Emma Härdelin, as well as Liz — representing different fiddle traditions. And she’s also known as a composer of tunes in the Irish tradition. So, yes, Liz has been a model and an influence for many in the Greater Boston Celtic music community, and BCMFest is thoroughly pleased to have her in our midst for this year’s festival. On Saturday (Jan. 19), she’ll be part of a round, “Tune Writers,” with Yann Falquet and Elias Alexander, at 3 p.m. in The Sinclair; that evening, she will be among the featured performers at the BCMFest Nightcap finale concert. And on Sunday at 1 p.m., she’ll lead an intermediate fiddle workshop. Here are some thoughts from Liz on becoming a fiddler, and what to listen for in fiddle music. Liz, let’s start with an update: What are some of your recent/ongoing collaborations and projects? Liz: I am working on a few things. First up, I’ve recorded an album with guitarist/pianist Jake Charron and we’re in the final stages of releasing it. It’s called “Half Day Road,” and I’m so delighted with it. I’ve been playing with Jake, who also plays with The East Pointers (from Canada), for a few years now, so this is a culmination of that partnership. Also, I’m working on new music for my friend Marty Fahey in Chicago who, through O’Brien International, spearheaded the “Ireland: Crossroads of Art and Design” exhibit at the Art Institute of Chicago in 2015. This new project involves my responding with new music to art in the O’Brien collection, from the point of view of “Change.” I loved writing music for the Ireland exhibit, so I’m excited — chomping at the bit, really — as Marty, ethnomusicologist Aileen Dillane, artist James Hanley, and I join forces in relating to great pieces of Irish art. When you think about the community in which you grew up, and where you began playing Irish music, what stands out? What were the places, activities, resources, etc., that on a day-in/week-out basis, helped you to become a musician? Liz: Chicago, like Boston, was — still is — a destination for Irish immigrants, my parents included. My dad played the accordion and my mom’s father played the fiddle, so they sought out Irish music in Chicago, and indeed found each other. We had a great community of musicians, Irish dance schools, radio shows; and then we had dances, ceilis, and county clubs that provided venues for those music lovers to gather. The kindness of all those musicians over the years, like fiddler Johnny McGreevy, pianist Mary McDonagh, concertina player Cuz Teahan, accordion player Martin Byrne, and on and on, is what stands out for me. We always enjoyed each other — we enjoyed the tunes and we enjoyed the fun of getting together. In my teens, Saturday morning kicked off with listening to the Irish radio shows and enjoying sausages and rashers. I’d go to my dancing class then, and go to the ceili on Saturday night. We’d go to the meeting of the Irish musicians on Sunday afternoon, and then to the live radio show on Sunday night. One continuing focus of BCMFest is the role of mentors, and others who provide inspiration, in folk/trad. Who are some of the people who were key to your development as an Irish musician? Liz: I love that this festival focuses on mentors. I asked one of my mentors, Johnny McGreevy, if he had to do it all over again, would he change anything. Johnny said that he wouldn’t because, “I met nice people.” At the end of the day, this music is all about people and community. We all strive and are driven in our own ways to achieve on our instruments, but the music doesn’t demand that we get anywhere in particular or at any particular speed, and that’s wonderful I think. Obviously, there are a lot of fiddlers here in the Greater Boston area who get a lot out of listening to performers like you. But if you’re a non-fiddler — and maybe not all that familiar with traditional music — what’s a good way to appreciate fiddle music? What things should you listen for? Liz: The fiddle, of course, is the best instrument! What’s not to like? As long as you like the sound of the fiddle — again, who doesn’t? — you will quickly discover a range of Irish styles, and your ears will evolve to where you will begin to favor certain tunes and tune types. You may enjoy fast fiddling or slow fiddling, crazy ornamented playing or spare contemplative playing; you may favor tunes in the key of A or tunes in G minor, and you may favor scratchy bowing one day and silky bowing the next. The famous chief of police in Chicago in the early 1900s, Francis O’Neill, who published collections of Irish music, had one book he titled, Irish Folk Music: A Fascinating Hobby. I chuckle at that title, but in fact Irish music is fascinating, and the music that began in Ireland has found its way around the world and warmed the hearts of all. Among his many other honors and achievements, Kevin Henderson is certainly in the running for the title of BCMFest 2019 Performer Who’s Had to Travel the Farthest From Home. Kevin hails from the Shetland Islands — nearly 3,100 miles from Boston — and he’ll be bringing his native land’s unique and illustrious fiddle tradition with him to share as a special guest at this year’s festival. In addition to playing as part of a brand-spanking-new duo with pianist Neil Pearlman on Jan. 19 at the BCMFest Nightcap, earlier in the day he’ll be in a special round with Katie McNally and Sean Clohessy that will showcase the similarities and differences between Shetland, Cape Breton and Irish fiddle styles. A co-founder of the acclaimed Shetland group Fiddler’s Bid, Kevin also has been a member of the pioneering Irish-Scots band the Boys of the Lough and Scottish super-group Session A9. One of his most recent projects is the Nordic Fiddlers Bloc, with whom he’s performed locally as part of “A Christmas Celtic Sojourn.” [Here’s the Nordic Fiddlers Bloc playing a Shetland tune.] And Kevin’s been a faculty member of the venerable Boston Harbor Scottish Fiddle School, teaching musicians old and young about the elements of Shetland fiddling. We caught up with Kevin recently as he prepared for his journey to the US. Kevin, your duet with Neil Pearlman at BCMFest will be part of a larger tour in January. What do you enjoy about playing with Neil? Kevin: I’m really looking forward to playing with Neil. which will be our first tour together as a duo. I was really into his style of piano accompaniment from the first time I heard him play. He’s very sympathetic with what he does in relation to the melody and he has great sense of harmony and chords. He is an exceptional talent. What are the most distinctive features of the Shetland fiddle style? What should a non-fiddler — and/or someone not all that familiar with traditional music — listen for? Kevin: I always found this a difficult question to answer as I never really thought about it much — it was just something I did naturally. But after being asked a few times I thought I should start thinking about it more! I think the actual tunes themselves are very unique, being Shetland-based and having links with mainland Scotland and with Scandinavia, which is culturally closer. Many of the tunes are modal, which can make it difficult for accompanying instruments to decide which key to use. You can find tunes that sometimes have an “extra” note in a bar or an “extra” bar in the whole tune. These varying bar lengths and uneven numbers of bars are common in Swedish and Norwegian but not in mainland Scottish music. It was to do with the dances, of course. The bowing is distinctive as well. It is varied, with a great use of slurs. A strong characteristic in terms of bowing in Shetland reel playing is the “one down and three up” pattern: one note played on a down stroke and three on the following up-bow. In mainland Scottish music, it is very common to start each bar with a down-bow. I also think the rhythm of the music is distinctive — often quite syncopated and known for its swing. In Shetland, fiddlers will often slur over a bar line in order to syncopate the rhythm. Another strong characteristic of the Shetland fiddle style is that we use a lot of ringing, open-string droning. The sound produced echoes the sound of the Hardanger fiddles of Norway. Having grown up in a place with a very strong music tradition, what would you say are the features of this community that encourage young people to learn the music? Kevin: I feel very lucky to have grown up in Shetland and the opportunities I had to learn music through the school system. It was free to learn traditional fiddle music through the schools, and there were four or five teachers who traveled throughout the islands teaching fiddle which continues to this day. Dr. Tom Anderson did so much for Shetland fiddle music — he basically demanded that it be taught through the school system for a long time and eventually he got his wish, which was amazing! Also, Shetland was lucky in that we had a lot of oil revenue and the community benefited greatly with many things — the likes of instrument tuition was one of the pluses. Music has always been an important part of the social side of things in Shetland. Events like the highly renowned Shetland Folk Festival and the Accordion & Fiddle Festival gave young folk learning traditional music a platform to go and play and jam with well-known national and international artists in an intimate setting. Looking back on it, some of the sessions and parties we had when were young with famous folk musicians were truly amazing — and obviously all of that was very inspiring and made you want to play. Who are some of the people who were key to your development as a traditional musician? Kevin: Firstly, I would say my grandfather was the main influence to start with. He was a huge fan of fiddle music and he played in the house himself, so that’s how I became interested. My two uncles were taking lessons privately at the time with Trevor Hunter and I tagged along, and one of them paid for my lesson so I am eternally grateful for that. He kept me going when I thought about giving up when I didn’t like practicing. My teacher Willie Hunter, as I mentioned, was without doubt a massive inspiration and someone I looked up to and still do. I was devastated when he past away. I looked forward to every lesson with him — he just made me want to play. I have a lot to thank him for and I feel very privileged to have had him as my fiddle teacher. 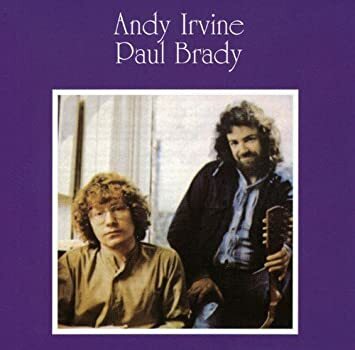 Also, as a Shetlander, seeing the great Aly Bain on TV and traveling the world playing Shetland fiddle was very inspiring, and made you say to yourself “I want to do that!” I am a huge fan of Aly’s playing and everything he has done for Shetland fiddle music is very inspirational. I would also say, whether you realize it or not, many musicians you hear inspire you in different ways. I certainly feel like I have been inspired by many musicians across many genres over the years. Laurel Martin has graced the stage at BCMFest several times over the years, and we’re delighted to have her back again. Laurel’s fiddle-playing has been described as having a “subtle, lyrical” quality, and that’s absolutely true: The quiet strength in her bowing and phrasing just envelopes you, and gives you a deeper appreciation for the Irish music tradition. But Laurel also fulfills a vital role as a teacher and mentor, sharing her love of the Irish tradition with the greater community through workshops or private lessons. She has received two Massachusetts Cultural Council Traditional Arts Apprenticeship grants to support her work with young fiddlers — which is quite appropriate when you consider Laurel herself benefited from a similar type of grant to study under master fiddler Seamus Connolly. You can catch Laurel — who’ll be accompanied by guitarist Jim Prendergast — as part of the BCMFest Roots and Branches concert, January 18 at 7 p.m. in Club Passim. Also performing will be the Irish-American old-timey trio of Wooden Nickels, and Fade Blue, a new acoustic quintet that blends Celtic with jazz, Afro-Cuban, classical, avant-garde and other kinds of music. Laurel, what inspired you to take up Irish fiddle? Did you grow up in a family with Irish or Irish music connections? Laurel: I first heard traditional Irish fiddle music when I was in my early 20s, and I fell in love with it instantly. There was lots of music in my home growing up; my parents both loved to sing, and my mother was a classical clarinetist, but traditional Irish music was not something I discovered until later. Say the phrase “Irish fiddle,” and many people might be apt to think of somebody playing tunes with hyper-fast, high-octane flourishes. But as your style demonstrates, there is a side to Irish fiddle that is quieter, yet also compelling in its own way. Where does your style come from, and how did you choose it? Laurel: Acquiring a style as a musician is a bit of a mysterious process, I think. I’m not sure that we actually choose a style, but rather the style chooses us! As I have listened to traditional Irish music over the years I am especially enthralled with the players who express a range of color and emotion in their playing. Michael Coleman was a master of this: Even though his playing was fast and technically brilliant, there was a sorrowful quality that ran beneath the surface. I love the music of Sliabh Luachra, and the slower-paced music of Clare and East Galway for the same reason. The rhythmic lilt, the use of space and variation are enthralling to me, and I think those elements have had an effect on my own playing style. Seamus Connolly played a significant part in your development as a fiddle player — what’s the importance of having a mentor like Seamus? Laurel: I am immensely grateful for Seamus’s generosity as a teacher and as a friend. He shared his music with me from his heart, and introduced me to many wonderful musicians who have influenced me and become my dear friends. Seamus’s musical life is rich and full, and I am so fortunate that he has shared it with me. You just released a new album, “Larks and Thrushes,” your first in more than a decade: What were some of the highlights of putting it together? Laurel: Working with the guitarist Jim Prendergast at his studio in Portsmouth, NH, was an incredible experience. He is a real master, both musically and as a sound engineer, and he devoted himself to finding the right sound and accompaniment style for my playing. Having the opportunity to record some tracks with Mark Roberts, with whom I love to play, was a real delight. Probably the most extraordinary moment in the process was the recording of two tracks with Mary MacNamara at her home in Tulla, East Clare. We had a lovely time playing together, and as we were recording the great Irish blizzard of 2018 was underway. 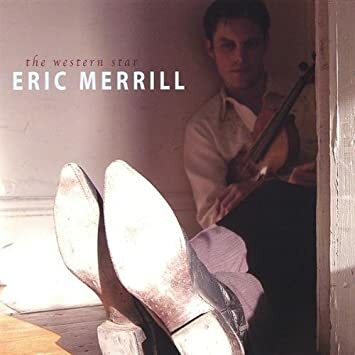 BCMFest has long been a venue for performers to try out new or recent collaborations and projects — we fondly remember, for instance, Eric Merrill’s “Western Star” or when Matt Heaton and Flynn Cohen recreated the classic Andy Irvine-Paul Brady album. So we’re eagerly anticipating the BCMFest debut of the duo of Katie McNally and Yann Falquet, who’ll be part of the First Round opening-night concert on January 17 along with masterful uilleann piper Joey Abarta, and Colleen White and Sean Smith, who perform songs from Irish, Scottish and other related traditions. Katie, who was barely in her teens when she first appeared at BCMFest, has emerged as one of the leading young fiddlers of the Scottish and Cape Breton styles in the US. Yann has performed in Boston many times, including as part of the Quebecois trio Genticorum, and a few years ago became a resident of the area (which made us and many other people very happy). We caught up with Katie recently and asked her about this new partnership. Katie, give us an idea as to what your set will consist of. Katie: Mostly, we’ll be drawing on Katie’s repertoire of Cape Breton fiddle tunes, with Yann’s epic Quebecois guitar accompaniment. Both of you have so many musical activities going on as it is. How do two musicians with so much on their plates make that decision to collaborate? Katie: We’ve known each other for a long time and even did a little weekend tour a couple years back. We had a lot of fun playing together at the Northeast Heritage Music Camp in Starksboro, Vt., this past summer, and that’s when I thought it would be cool to book some more gigs outside the context of fiddle camp. So, the collaboration was a bolt-of-lightning “We-should-definitely-put-together-an-act!” type scenario? Katie: Sorry, but what happens at fiddle camp stays at fiddle camp. It seems that one of the enjoyable things about a collaboration is the potential for the musicians involved to learn from one another, and add to their individual development, outlook, etc. Did you experience this? Katie: This collaboration is still so new that we’re definitely still in the phase where we’re learning from each other! I’m really looking forward to playing more, and learning more. Unfortunately, we don’t have any video of Katie and Yann playing together — not yet, anyway — so for now, here’s a clip of Katie playing as part of her trio with Neil Pearlman and Shauncey Ali. And you can get a feel for Yann’s splendid guitar-playing in this video of him with his wife, cellist Natalie Haas. Throughout its lifetime, BCMFest has had a great friend in Brian O’Donovan, the host of WGBH-FM’s “A Celtic Sojourn.” In addition to serving as occasional emcee (and even singing the odd song here and there), Brian has supported the festival by devoting segments of “Celtic Sojourn” to interviews with BCMFest organizers and performers, as well as musical samples of BCMFest acts. Well, this year, Brian and “Celtic Sojourn” are pulling out all the stops. 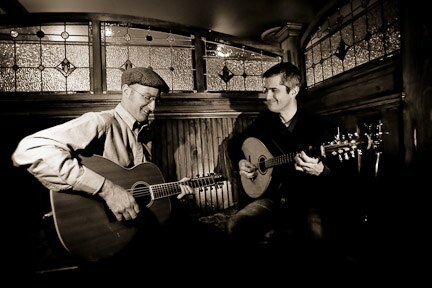 Elias Alexander & Eamon Sefton of The Bywater Band, 4-5 p.m.
Katie McNally & Yann Falquet, 5-6 p.m.
There’ll also be conversations with the performers, and with representatives from BCMFest and Passim — the area non-profit of which BCMFest is a program. And, as can often happen in such situations, spontaneous collaborations are likely to break out. If you’re interested in seeing this event as it happens, click on this link to reserve tickets — there is no charge. However, please be advised that seating is limited on a first-come, first-served basis. Of course, you can always listen on 89.7 FM, or online here.